The Server hardware and applications software resides at our Hosting Center, and is always kept up-to-date with the latest operating system, security software and Solution-IV® applications. 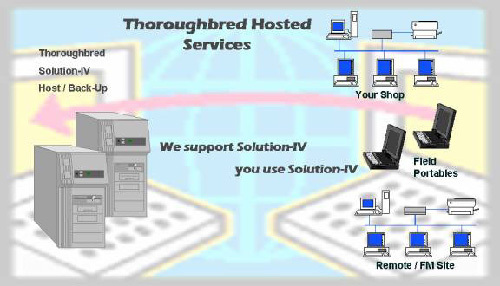 Routine system maintenance functions including upgrades and daily backups become a thing of the past with those functions handled by Thoroughbred's Hosting Center. Copyright 2008© Thoroughbred Software International, Inc.